I have never been blamed for being the brightest star in our night sky, nor has anyone ever said that I take a conservative approach to adventure. In nearly every opportunity I’m offered, my blood fills with excitement as my nature is to push the limits. Unfortunately this often leads to extreme exhilaration upping the ante of risk as I push the breaking point even further. Most often I come away having had the time of my life having enjoyed a sensational adrenaline rush and feel excitement of having accomplished a rare feat. Certainly, I have had my fair share of broken bones, and/or mishaps that need time and healing. Naturally these historically have been wake up calls which unfortunately flee from memory (common sense) as something new arises for me to experience. I sit here writing this post with a new sense of caution knowing I can still enjoy life without rolling the dice of limited odds. Some may not know I was involved in an ATV accident recently which required hospitalization. This accident didn’t involve lack of restraint but was a result of an innocent mistake. That’s not why I am writing this post. The story line is what I learned as I lay motionless in the hospital bed feeling sorry for myself. A nurse at IMC on the trauma floor came into my room to visit. He carried a message I want to share so that those like me can both enjoy life and keep on living knowing the unbelievable statistics that are waged against us. In 2015, there were many nights the trauma floor was filled to capacity turning away deserving patients. 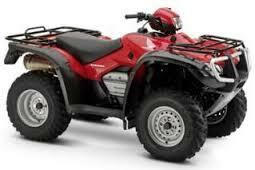 In that year there were 1,100 victims of ATV accidents. Of those injured 108 passed away and 347 were paralyzed. I can’t say how the remaining 645 turned out but am certain that like me they are dealing with difficult healing and potential loss of full mobility. The night I was admitted four of us had come in from accidents. One paralyzed from the neck down and two from the waist down. Yes, I felt sorry for myself until his visit as my injuries suddenly became meaningless comparatively. These statistics come from one sport. Friends and fellow outdoor high adventure seekers have fun; do exciting things for it is these events that make our hearts beat fast and fill our souls with adrenaline. But please, please learn as I have and be ever so careful while enjoying our life’s journeys! This entry was posted in Life and tagged accident, life lesson, thrill seeker, tragedy. Bookmark the permalink.